Sewing & Crocheting | Simply Art-Rageous! Posted in Art Education, Sewing & Crocheting	| Comments Off on WWOWW 2017! Free Shipping through October 31st! Posted in Artwork, Etsy, Sewing & Crocheting	| Comments Off on Free Shipping through October 31st! 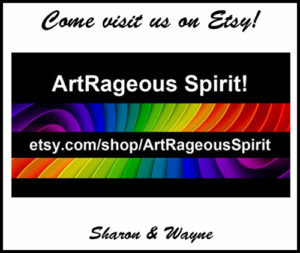 New Venture: ArtRageous Spirit on Etsy! Posted in Artwork, Sewing & Crocheting	| Comments Off on New Venture: ArtRageous Spirit on Etsy!